That’s the title of a special issue of the Journal of International Money and Finance that’s just been published. Source: Buch et al. (2018). “…most of the literature [on spillovers] has focused on macroeconomic channels, whereas comparatively less attention has been paid to transmission via banks, which may vary depending on individual banks’ characteristics and the features of national banking systems. Against this background, the International Banking Research Network (IBRN) launched a project aimed at closing some of these gaps, drawing on a unique network of researchers and data. Country teams compiled individual bank-level data for the period from 2000 through 2015, usually based on confidential data proprietary to central banks, and then analyzed those data using a common empirical method. Draft versions of these papers were presented at a workshop organized by the Banque de France, the Paris School of Economics, the International Banking Research Network (IBRN), the Journal of International Money and Finance and the Deutsche Bundesbank, held at the Banque de France headquarters on June 30, 2017. … this special issue consists of ten papers that offer new perspectives on the transmission of monetary policy via bank lending, examining in particular the differential effects along three key dimensions: (i) bank assets and funding, (ii) domestically owned institutions and hosted foreign-owned banks, and (iii) periods of conventional and unconventional monetary instruments. Argimon, I., Bonner, C., Correa, R., Duijm, P., Frost, J., de Haan, J., de Haan, L., Stebunovs, V., 2018. Financial Institutions’ Business Models and the Global Transmission of Monetary Policy. Auer, S., Friedrich, C., Ganarin, M., Paligorova, T., Towbin, P., 2018. International Monetary Policy Transmission through Banks in Small Open Economies. Avdjiev, S., Koch, C., McGuire, P., von Peter, G., 2018. 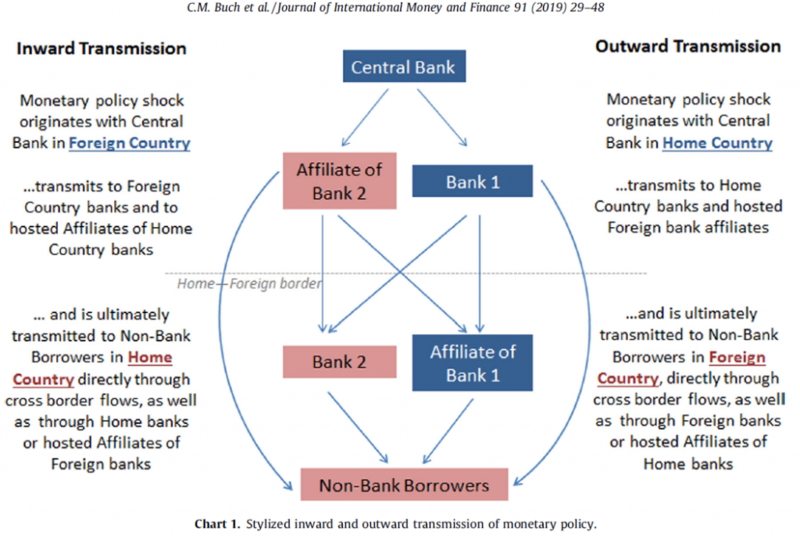 Transmission of Monetary Policy through Global Banks: whose Policy Matters? Barbosa, L., Bonfim, D., Costa, S., Everett, M., 2018. Cross-border Spillovers of Monetary Policy: what changes during a Financial Crisis? Bubeck, J., Habib, M., Manganelli, S., 2018. 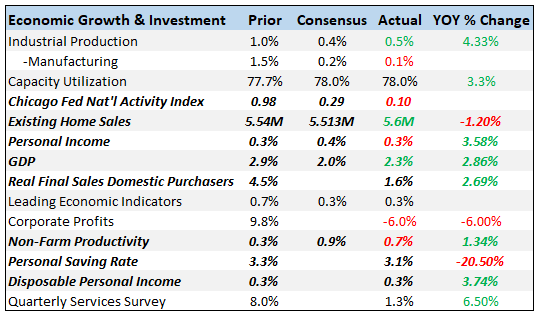 The Portfolio of Euro Area Fund Investors and ECB Monetary Policy Announcements. Bussière, M., Buch, C., Goldberg, L., Hills, R., 2018. The International Transmission of Monetary Policy. Caccavaio, M., Carpinelli, L., Marinelli, G., Schmidt, J., 2018. International Spillovers of Monetary Policy: Evidence from France and Italy. Gajewski, K., Jara, A., Kang, J., Mok, J., Moreno, D., Serwa, D., 2018. International Bank Lending Channel Spillovers of Monetary Policy: Lessons from Chile, Korea, and Poland. Hills, R., Ho, K., Reinhardt, D., Sowerbutts, R., Wong, E., Wu, G., 2018. The International Transmission of Monetary Policy through Financial Centres: Evidence from the United Kingdom and Hong Kong. Lindner, P., Loeffler, A., Segalla, E., Valitova, G., Vogel, U., 2018. International Monetary Policy Spillovers through the Bank Funding Channel. The special issue was edited by Claudia Buch, Matthieu Bussière, Menzie Chinn, Linda Goldberg, and Robert Hills.